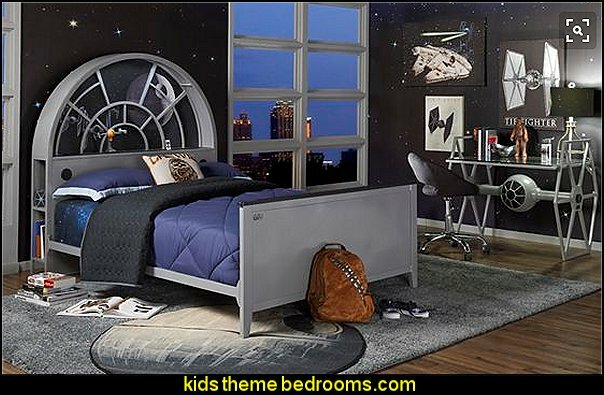 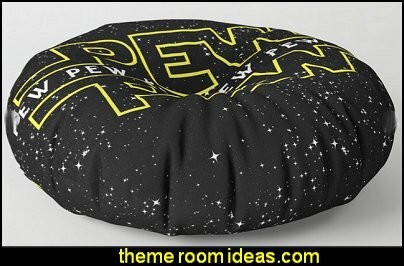 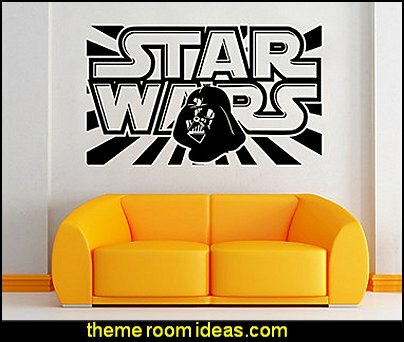 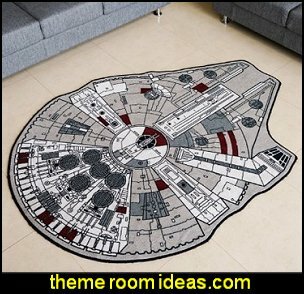 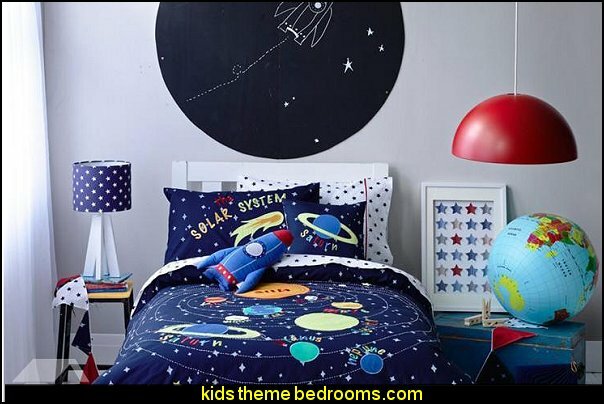 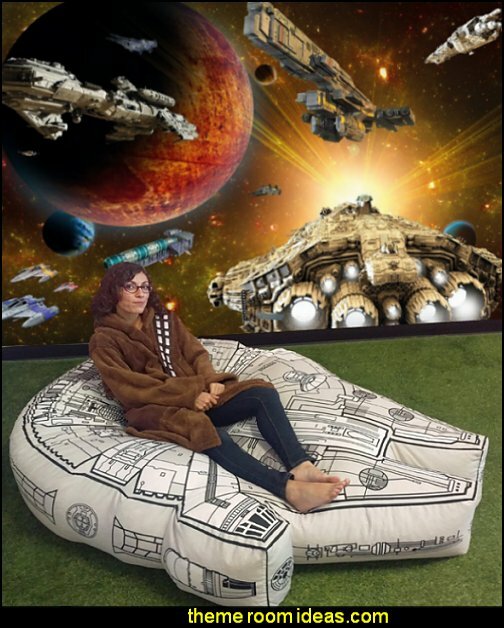 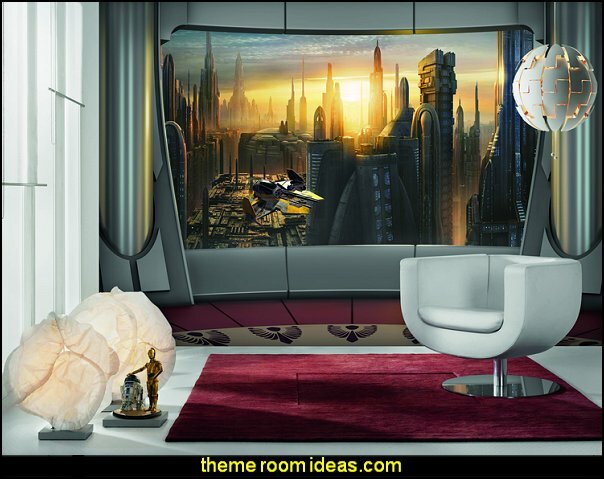 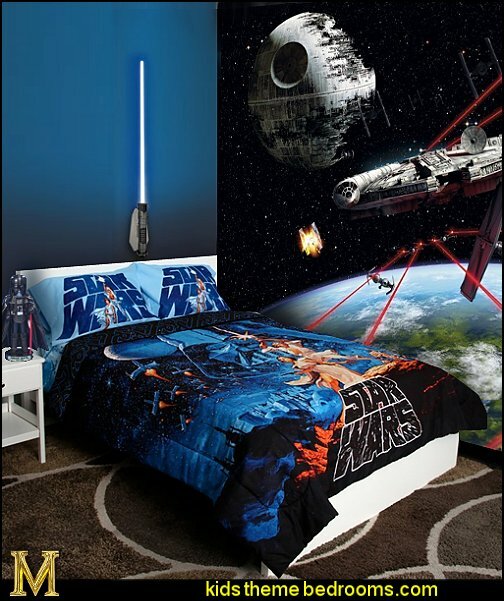 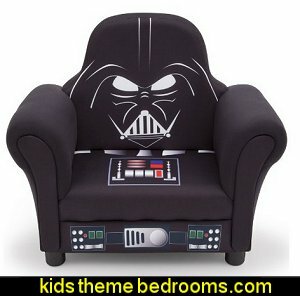 space theme furniture, planet print bedding, space rugs, outer space wall murals mixed with outer space wall decal stickers for your future astronaut! 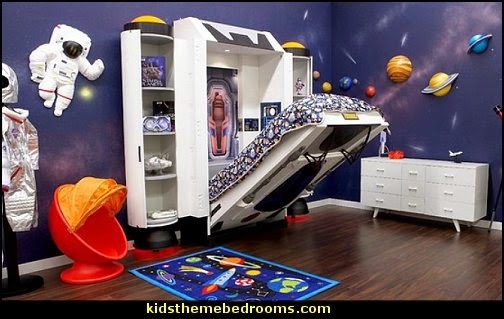 Let your child’s dreams blast off on expansive missions to explore strange new worlds with this realistic space shuttle bed! 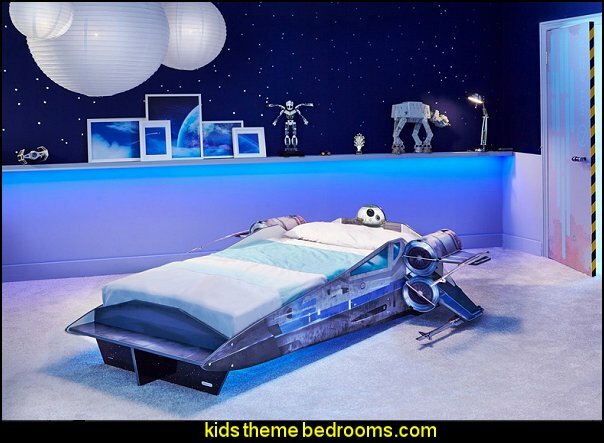 The convenient fins near the head of the bed double as nightstands for your child’s bedside needs while the cockpit at the foot of the bed provides a convenient storage space for books and favorite toys. 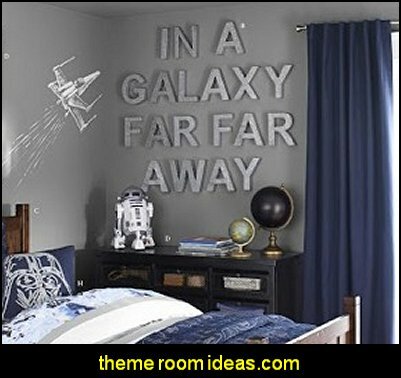 Realistic decals along the sides complete the life-like design. Let your child experience the wonders of the galaxy with this metal space shuttle-inspired desk that features realistic wings and space themed decals. 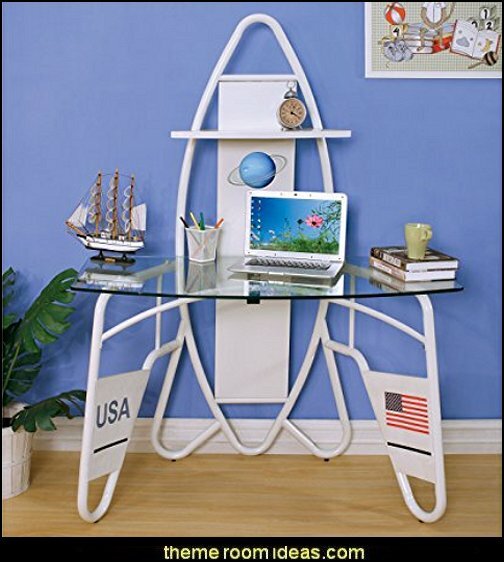 The white powder coated frame has a spacious glass top and built-in USB and power outlets that will assist in those long journeys. 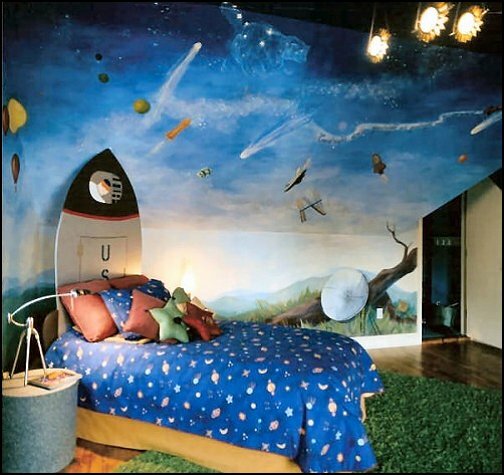 Blast off into sweet dreams! 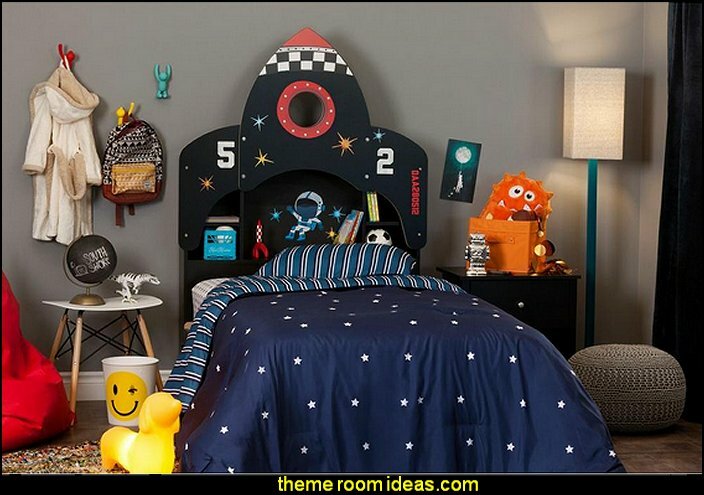 Give your child storage space for books and treasures with this rocket-themed headboard. 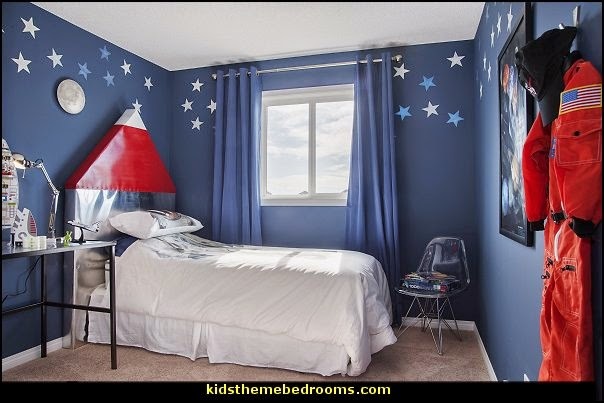 Self-sticking vinyl decals create the details of the rocket, with an easy-to-apply and easy-to-remove design that won't damage the headboard. 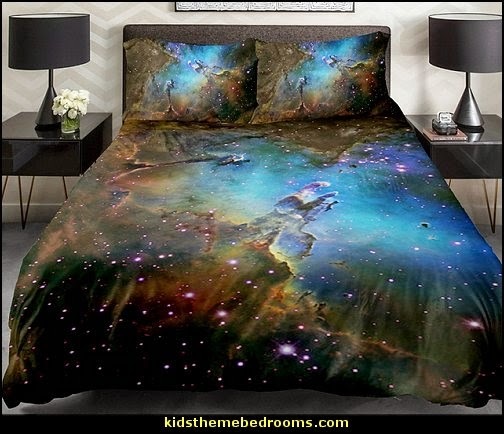 Enjoy the beauty and wonder of the night sky filled with stars and planets. 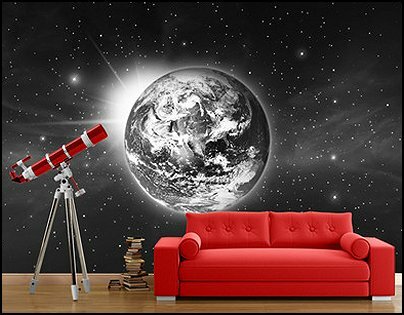 Whether you want to gaze at calming views of distant constellations or experience the rush of a shuttle launch up close, outer space themed wall murals are a great way to transform bare walls into breathtaking view. 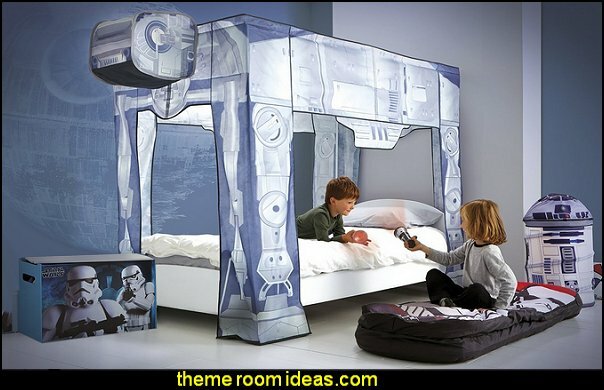 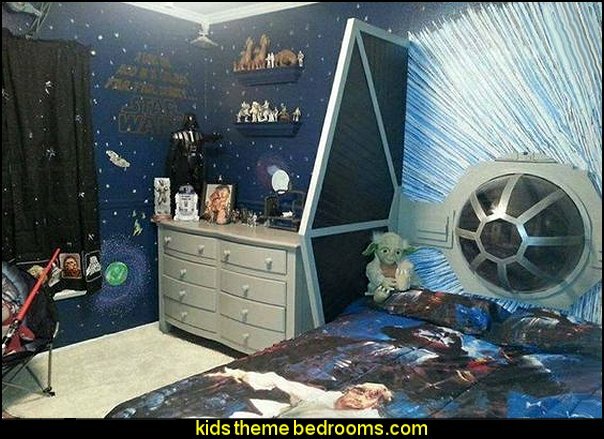 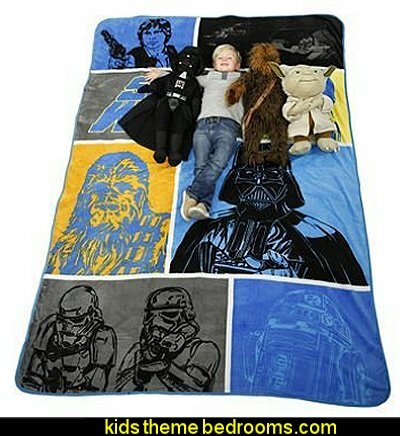 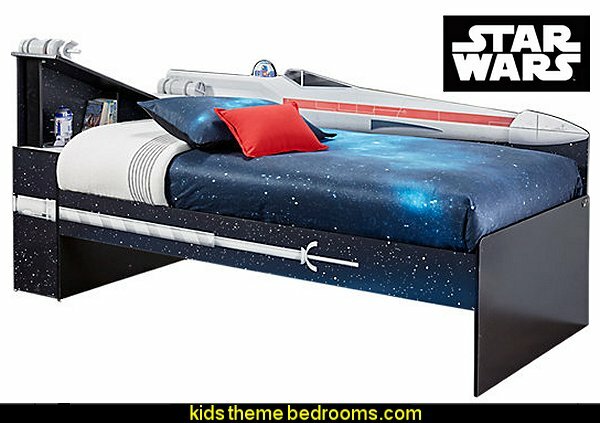 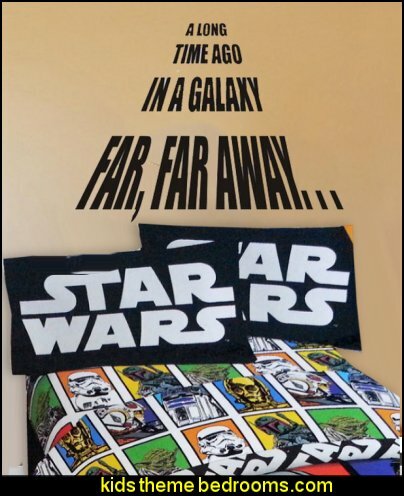 Your little space explorer will be thrilled with this super fun and out of this world bed. 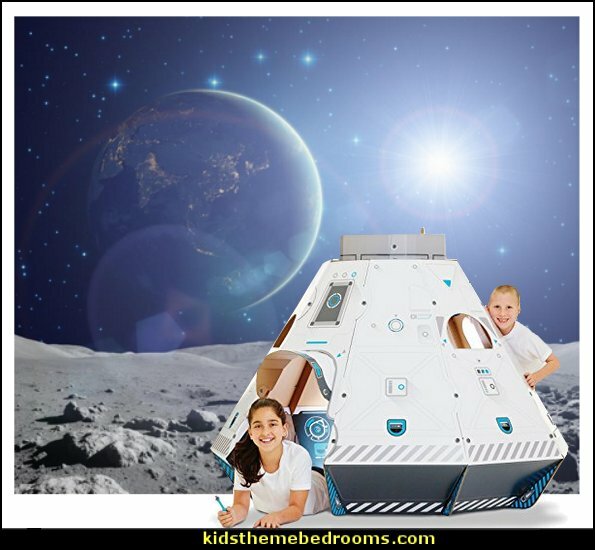 While the mattress is lowered, the spaceship is in sleep mode, giving your child a comfortable environment for exciting dreams. 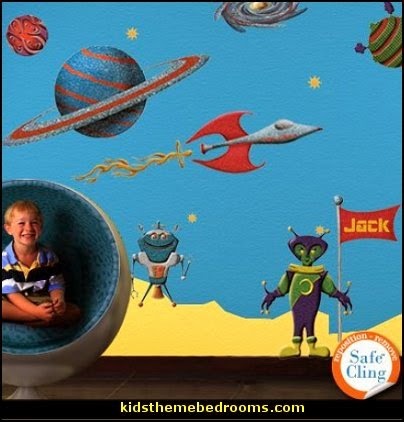 Raising the mattress for daytime play or space constraints, is quick and easy with fingertip control . 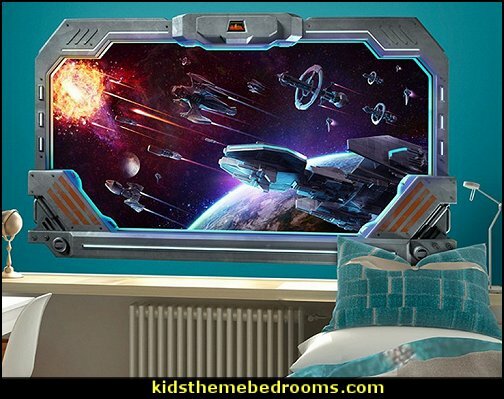 Perfect for bedtime reading, the bed features paper thin electroluminescent light panels that are cool to the touch. 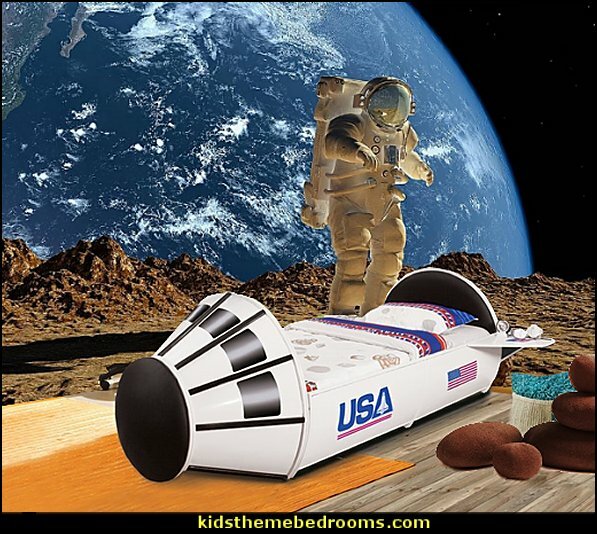 This bed is handcrafted using only quality material and is designed to trigger your child's imagination. 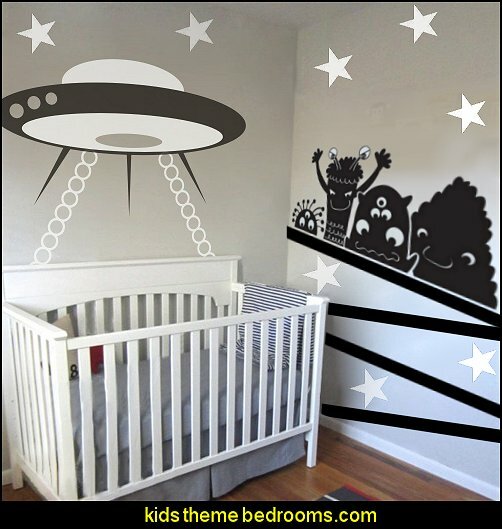 Your nursery will be "out of this world" with the Galaxy Collection by Trend Lab. 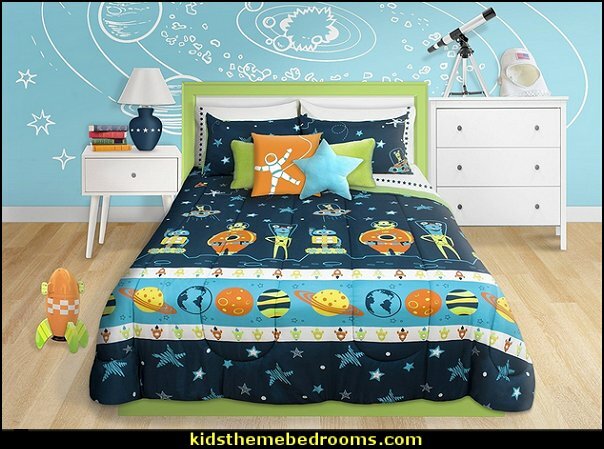 Star constellation and rocket ship prints set the base for this intergalactic group. 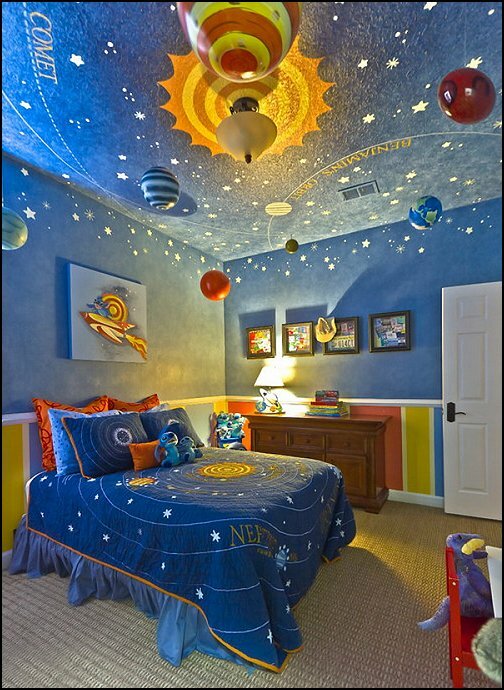 Soft planet appliques bring touchable accents alongside our beaming sweet sleepy sunshine. 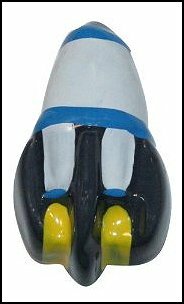 This trend-right collection uses a warm gray base, is bordered in navy, and is accented with crystal blue and shades of yellow. 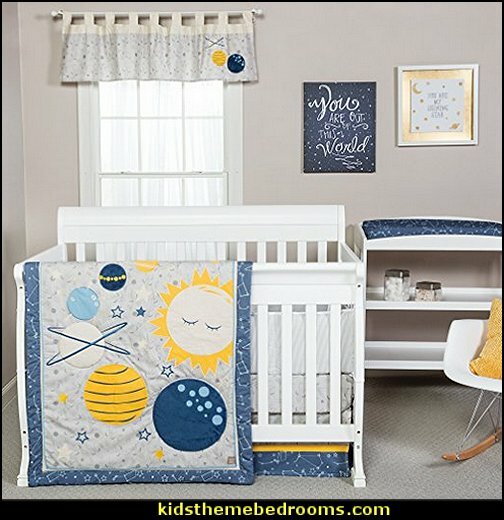 Set includes: Quilt, Crib Skirt and Fitted Crib Sheet. 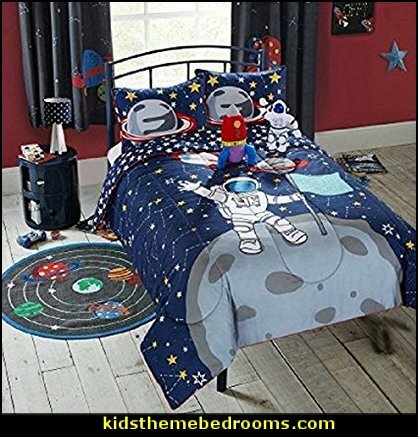 Reversible 100% cotton Quilt measures 35 in x 45 in and features rocket ships scatter print with planet appliques bordered by solid and star constellations in navy blue, gray, white with pops of yellow. 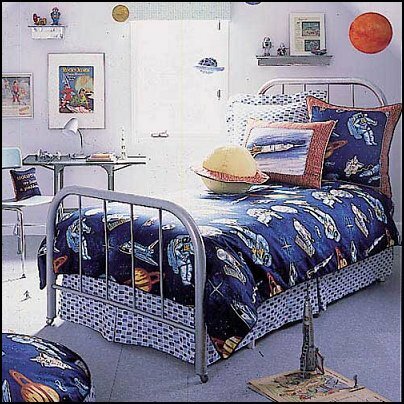 Quilt is backed in star constellations in navy blue and white for decorating versatility. 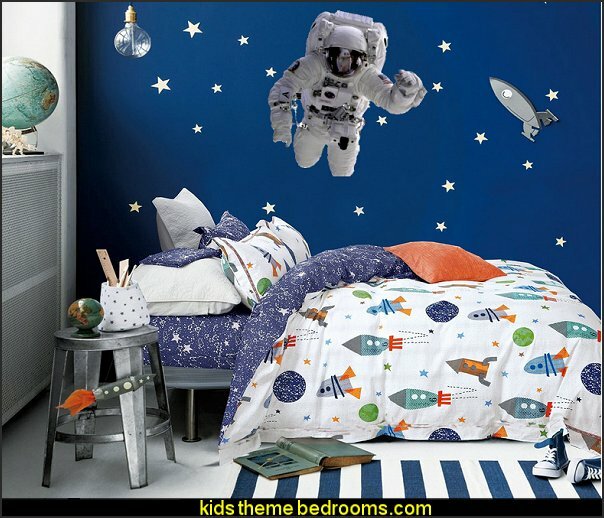 Fitted Crib Sheet is 100% cotton and features rocket ships scatter print in gray. 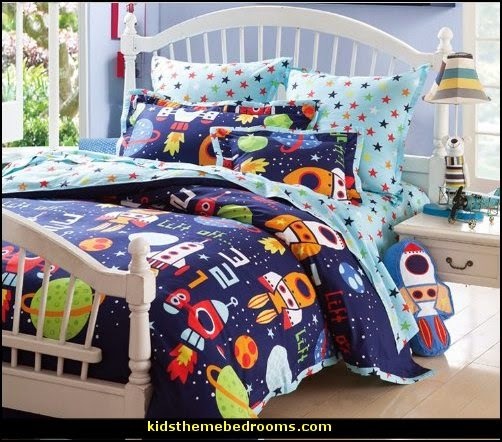 Crib sheet fits a standard 28 in x 52 in crib mattress and features 8 inch deep pockets with elastic surrounding the entire opening ensuring a more secure fit. 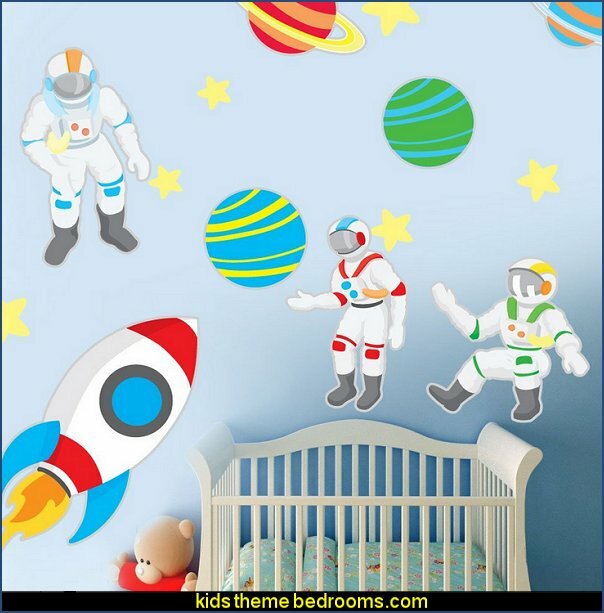 Flat panel crib skirt with 13 inch drop features a rocket ships scatter print body, star constellations trim in navy blue, gray and white with a solid yellow accent. 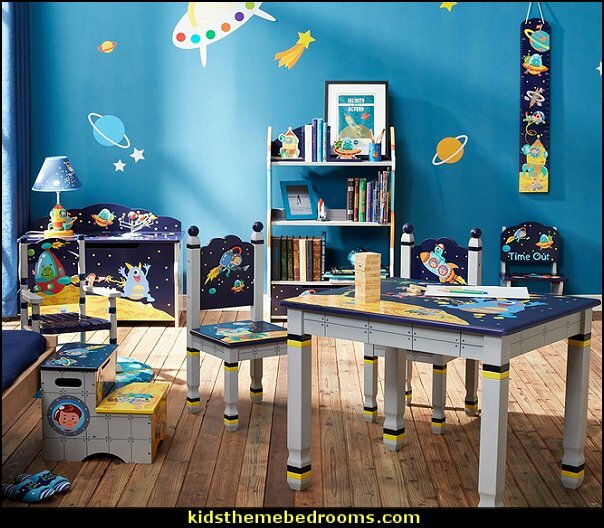 Anyone who casts a dreamy eye on the heavens is sure to be dazzled by this Blue Rocket Ship Shelf! 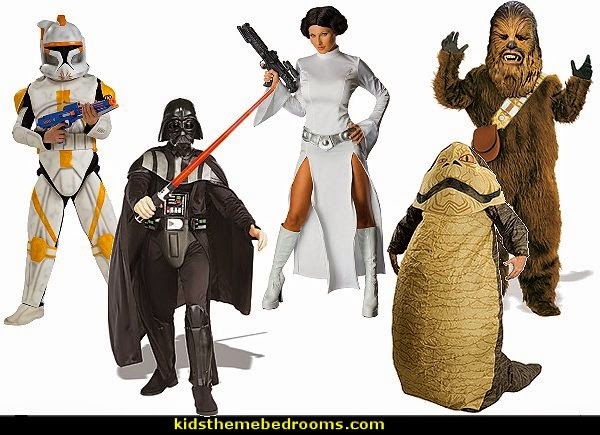 Huge shelving unit stands over eight feet tall and makes a stunning centerpiece in a retro room, plus it's ideal for displaying action figures and other collectables. 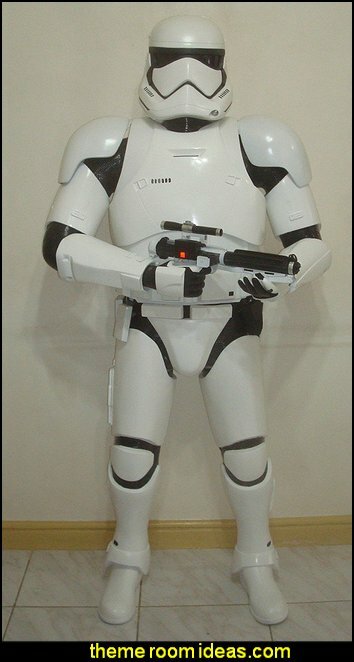 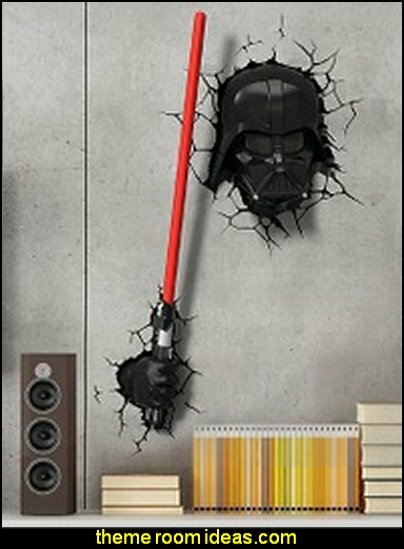 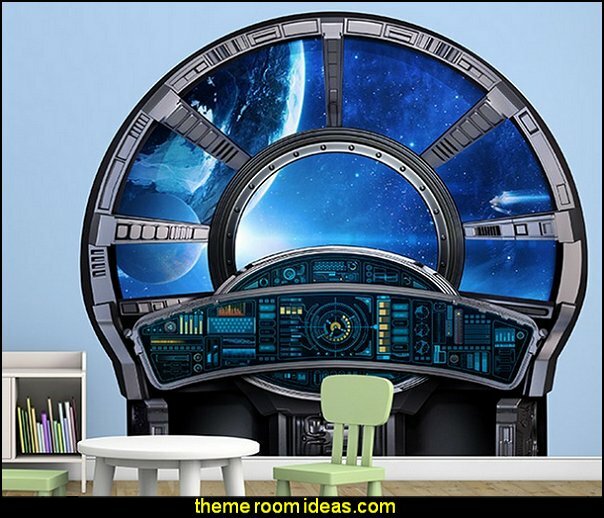 But this versatile piece isn't just for kids and collectors - this quality rocket also makes an excellent media center. 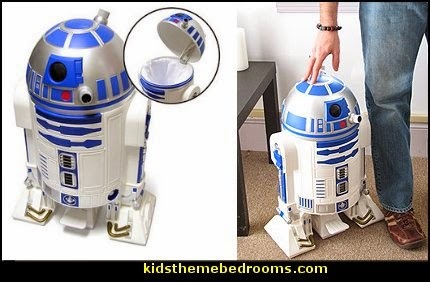 It's able to hold plenty of CDs, and the open concept back and sides make simple to run wires to small speakers or music players. 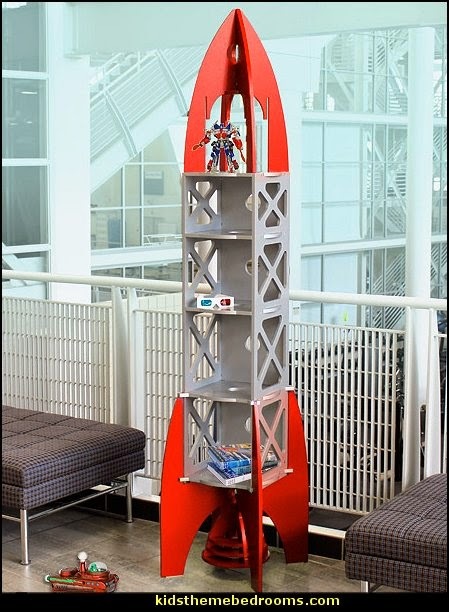 3...2...1... Blastoff to adventure with this Red Rocket Shelving Unit! 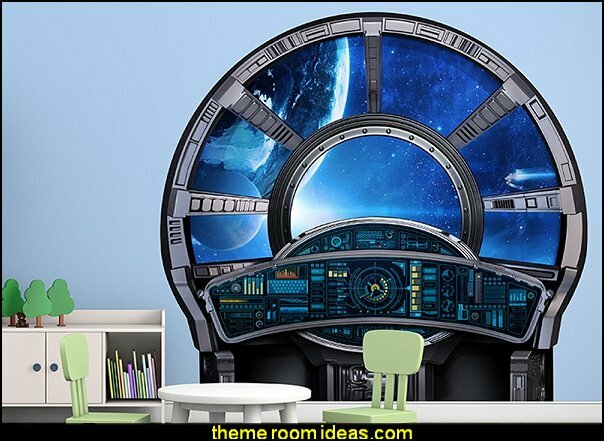 But this sleek little spaceship isn't just for storage. 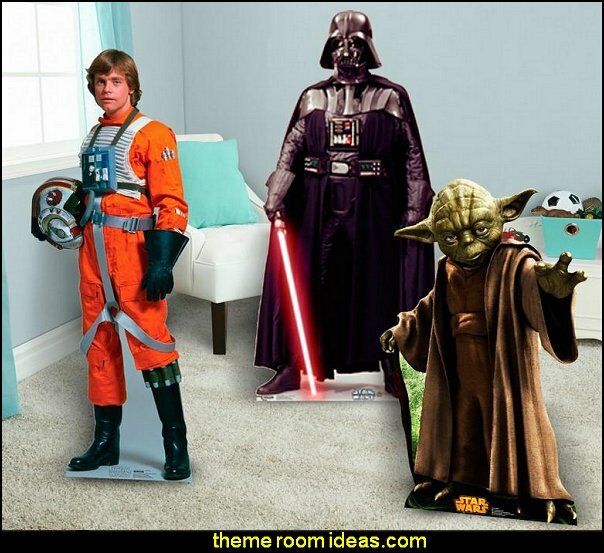 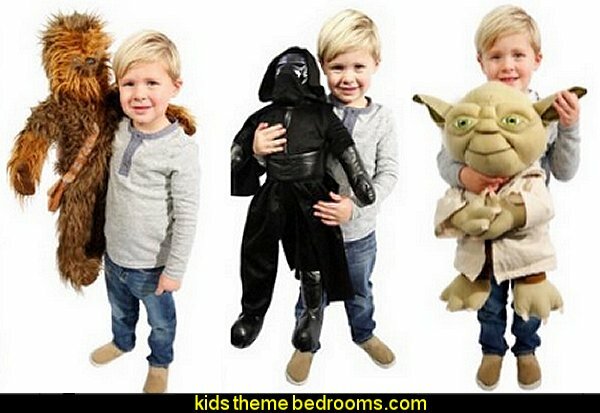 Kids will love accompanying their action figures on imaginary journeys to distant galaxies. 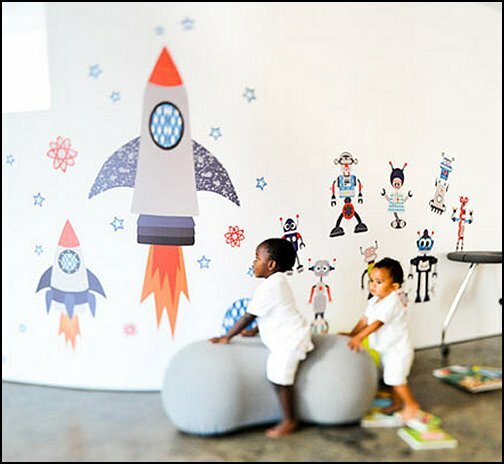 Open-concept storage space means it's easy for little hands to help figures explore the ship - plus there's plenty of room for other toys, books, and games to come along on the mission! 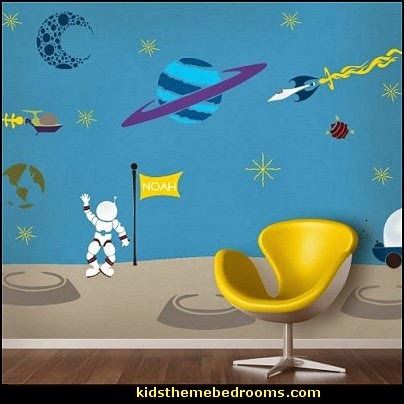 Space Explorer Wall Decal Set is perfect for any Little Astronaut. 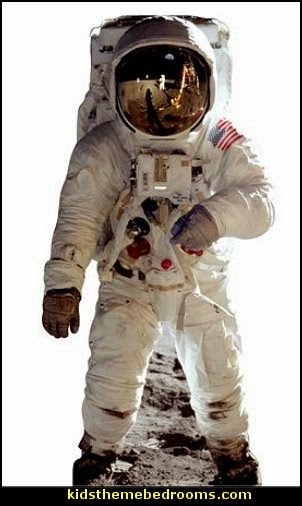 Did you ever wonder how much you'd weigh on the moon? 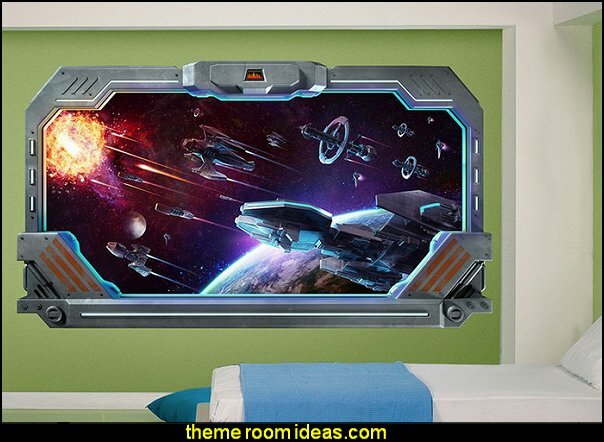 Jupiter? 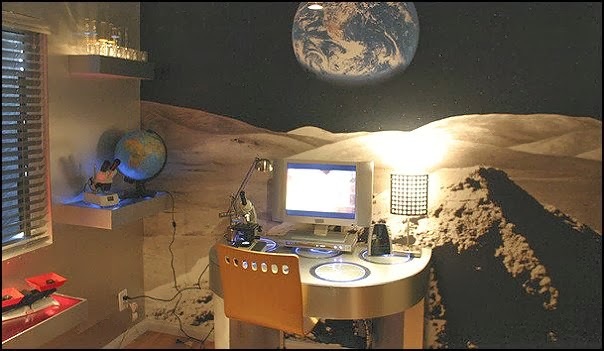 Mars? 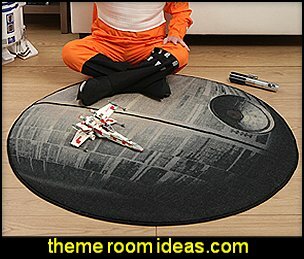 Step onto the Talking Planetary Mat and find out. 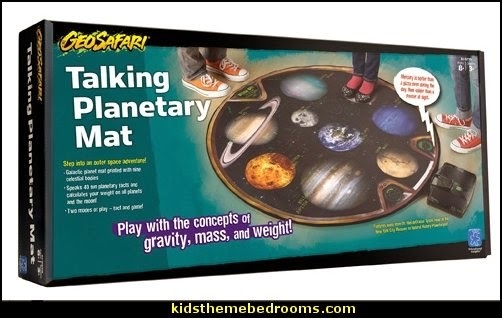 A completely interactive way to demonstrate the changing forces of gravity on the different planets, this mat features all 8 planets and the moon, as well as fun facts and quiz questions to help kids understand gravity, weight, mass and basic astronomy. 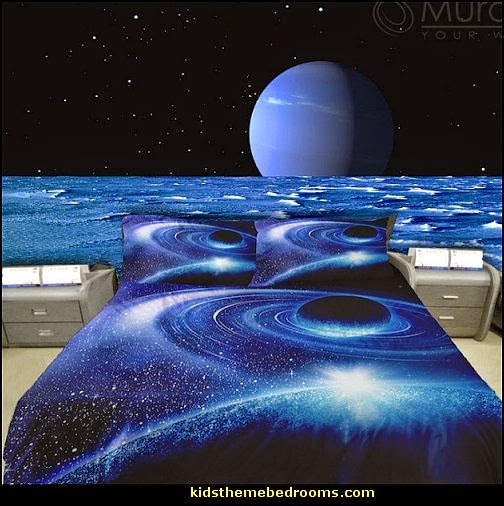 Includes 45" round galactic planet mat printed with 9 celestial bodies, scale that calculates your weight in lbs. 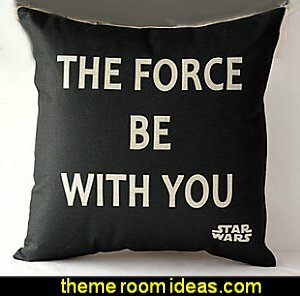 or kilos (up to 300 lbs.) 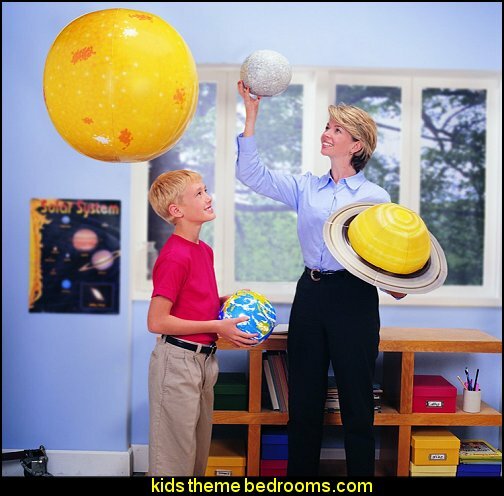 on all planets and the moon, 40 fun planetary facts, 2 modes of play (Fact & Game) and 12-page guide with activity ideas Demonstrates the concepts of gravity, mass and weight. 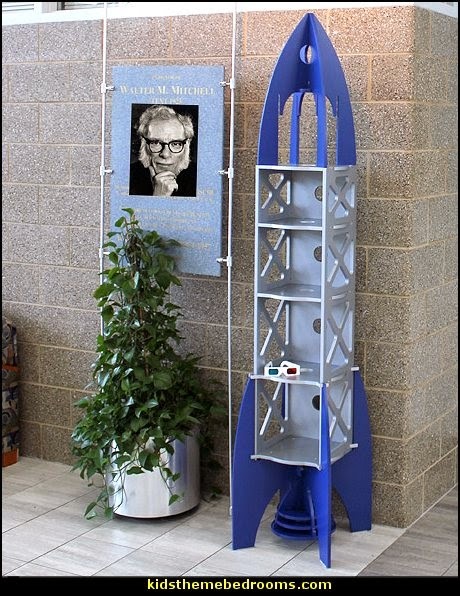 Deep in the laboratories a resident scientist created a robot shelf capable of amazing things. 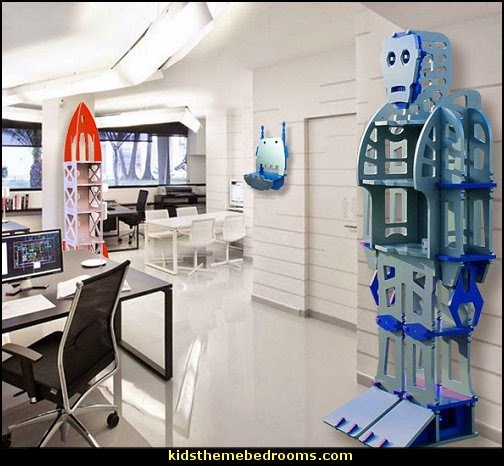 Programmed to hold your kids books and games, or even to display toys and knickknacks. We tried to program it to clean your kids' rooms for you, but we blew a fuse. 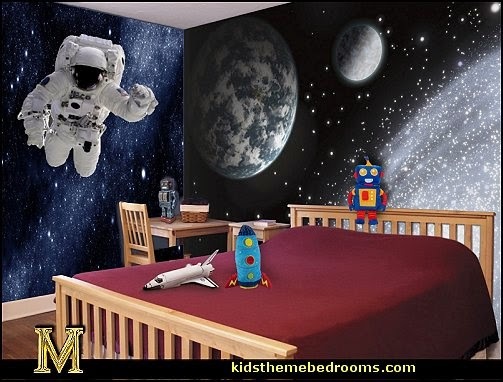 Whether you're off to explore the moon or Mars in Rocket ship X-M or defending the earth from alien invaders, you'll need a robot to accompany you. 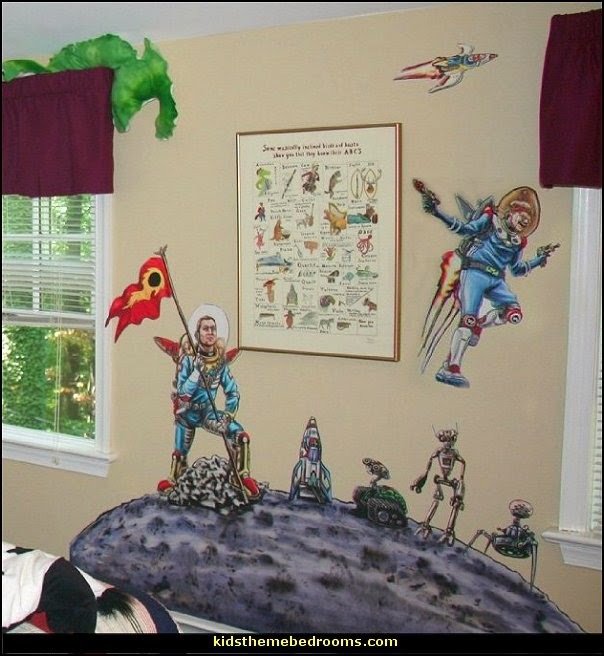 The ATLAS Robot Shelf is a fitting companion for all types of extraterrestrial and earthbound activities. 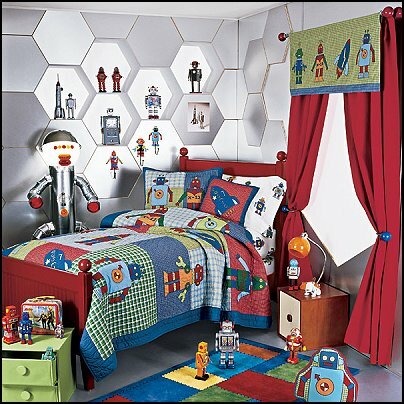 Made of sturdy engineered wood painted silver and accented in red, this massive robot storage structure stands over six feet tall and has tons of room in his torso, arms, and legs for toys, books, DVDs, CDs, and more! 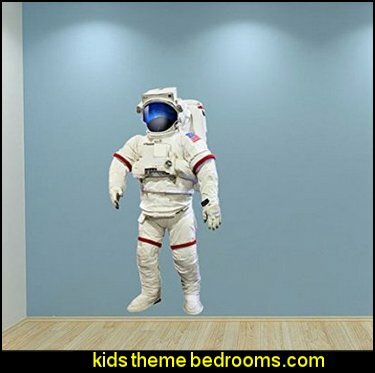 Kids and adults will love the excitement that ATLAS adds to a room. 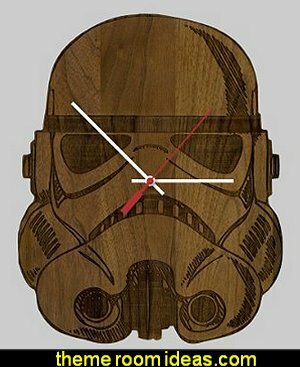 And don't forget... Klaatu barada nikto! 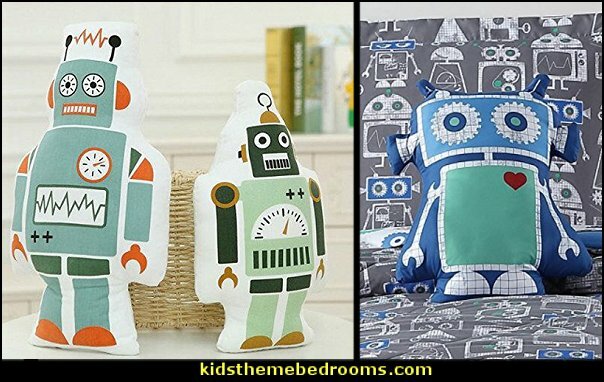 This big robot looks brilliant in silver and blue. 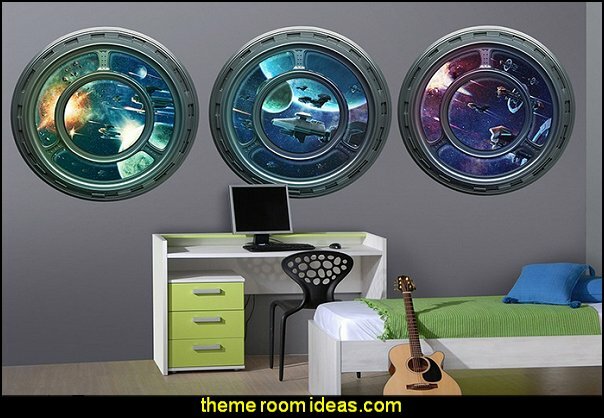 Great for retro rooms that could use a little sci-fi flair, this massive ATLAS Robot Storage Structure features superior, quality craftsmanship. 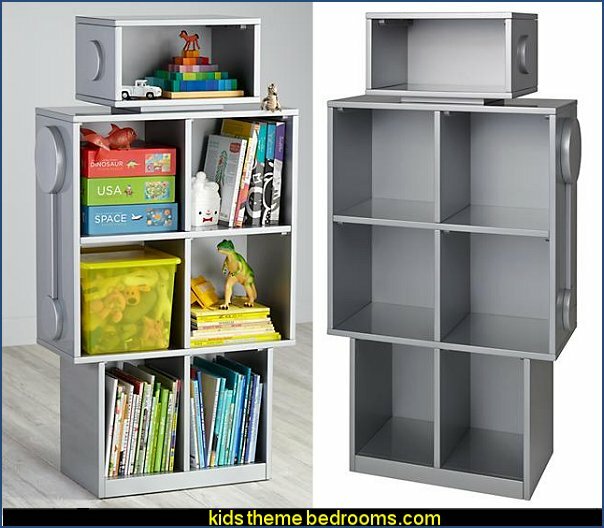 Made of engineered wood, this shelving unit is perfect for a media room and is ideal in a child's bedroom. 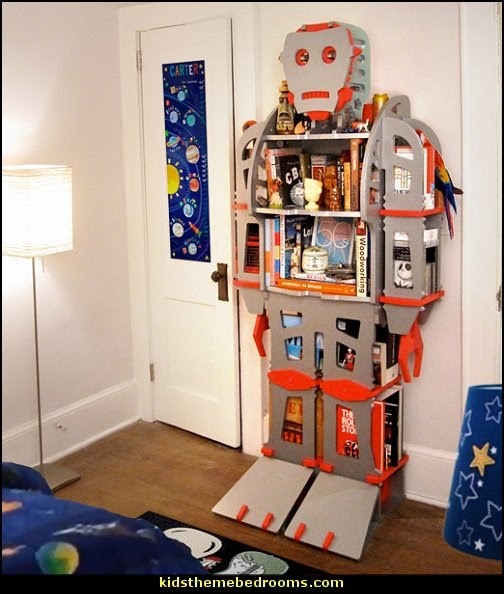 Looking like he just stepped out of a 50s-style space flick, this robot features 10 shelves that ensure you can load him up with plenty of CDs, books, DVDs, or action figures. 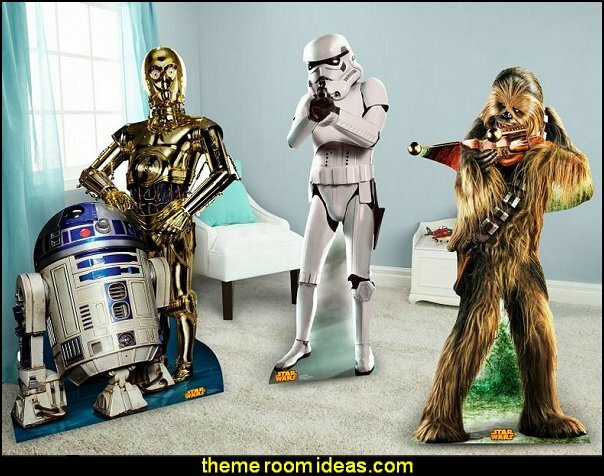 A great showcase for any retro toy collection. 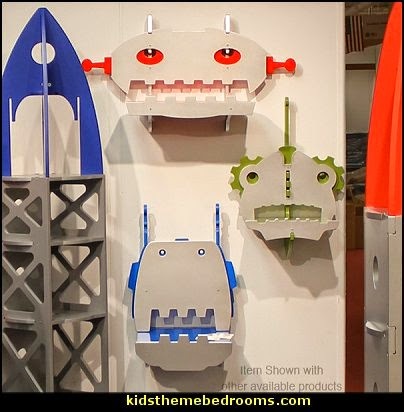 Red Roy the Robot Shelf Set up a game of Space Invaders right on your living room wall when you hang this little Red Robot Shelf! 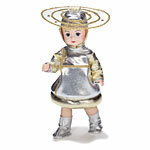 Roy the Mini-Mech is ideal for displaying a few prized action figures or a special collectable. 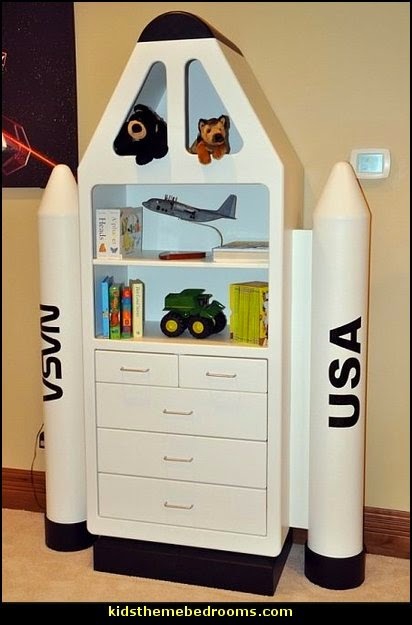 Expertly crafted by Atomic Playrooms, this engineered wood shelf looks stunning in playrooms or a child's bedroom. 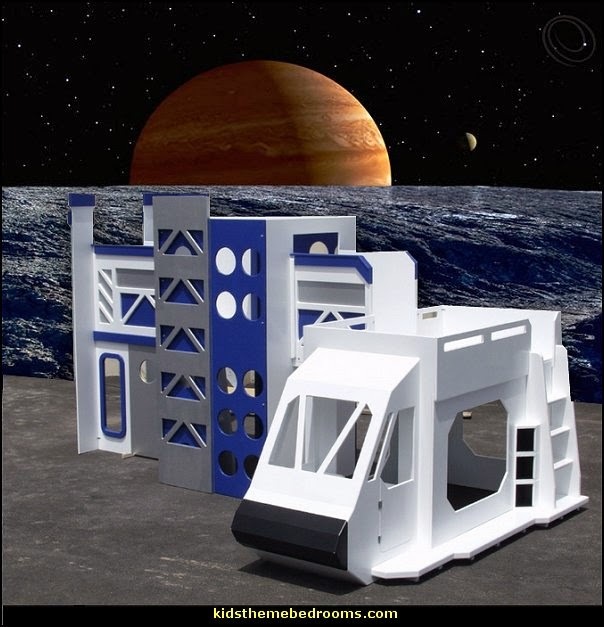 Lee the Mini-Mech Robot Shelf has just landed on earth after traveling through space and time with one mission in mind - decorating your walls! 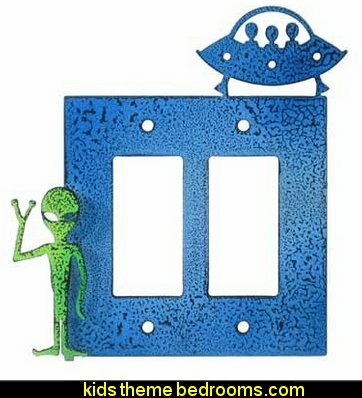 This little silver and green shelf is ideal for anyone who collects retro robots - and he's perfect for displaying some of your vintage collectables! 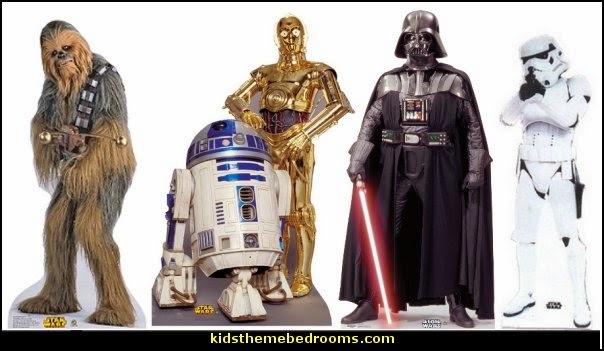 Made of engineered wood with careful attention paid to both quality and detail, Lee will last you a lifetime. 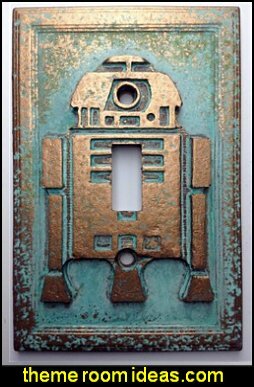 Crosby the Robot Shelf has just transported in from galaxies unknown to contribute a little sci-fi style to your walls. 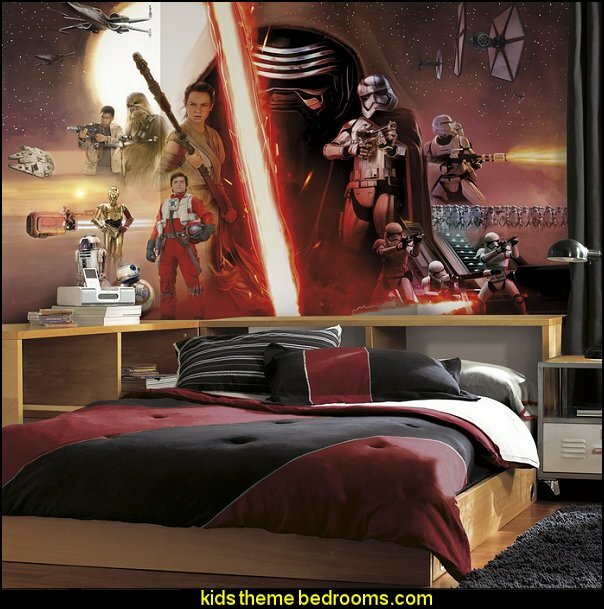 Made of engineered wood, quality Crosby looks spectacular holding a few action figures. 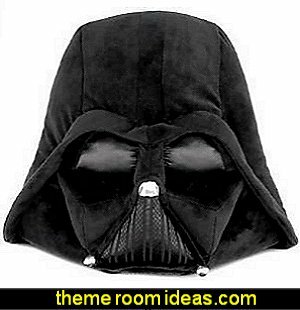 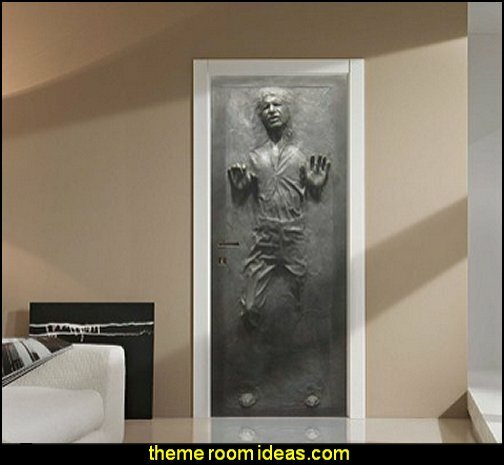 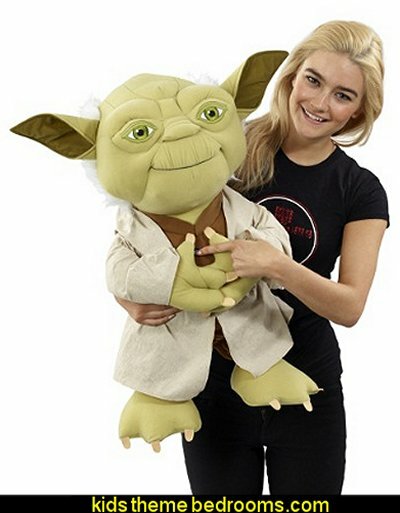 Or mount him next to your couch or a favorite chair for a side table all of your friends will envy. 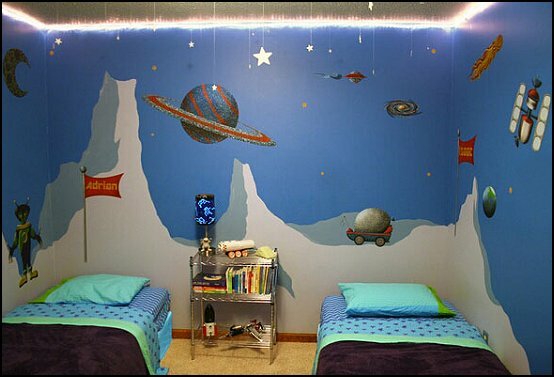 Just peel and stick - make an outer space wall mural in minutes! 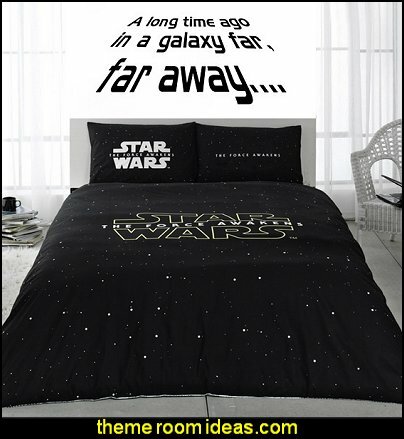 To the stars and beyond! 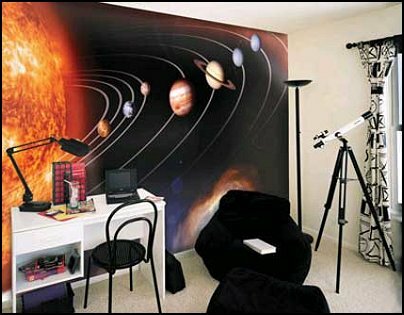 These outer space wall stickers...dare I say... are out of this world! 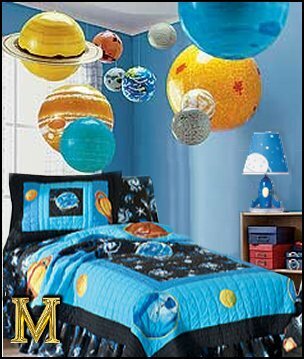 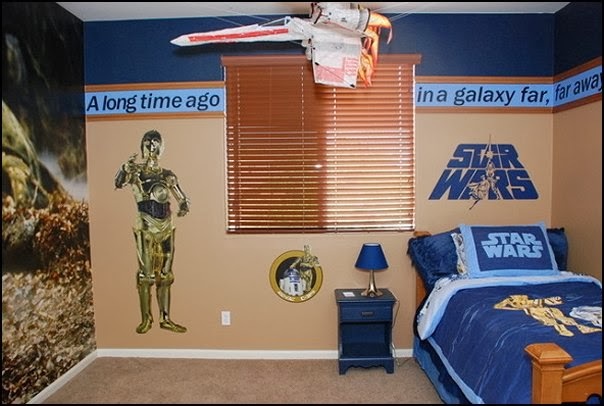 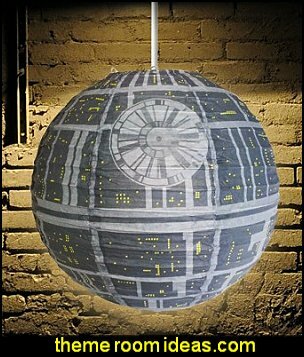 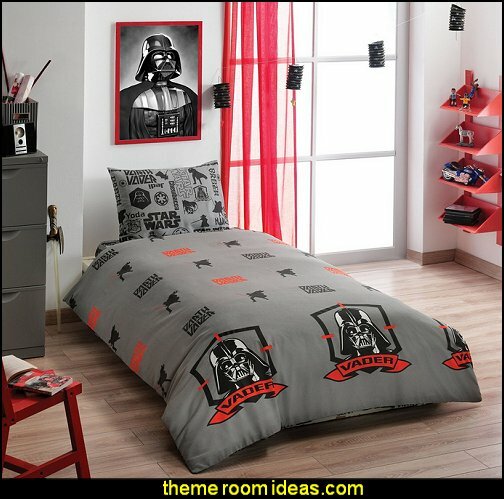 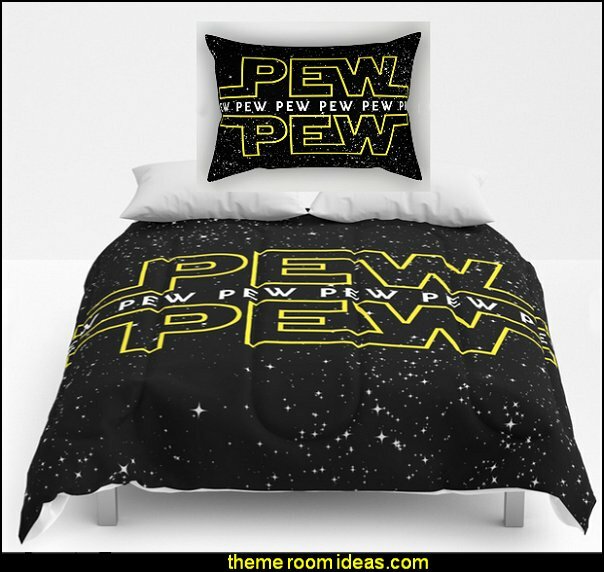 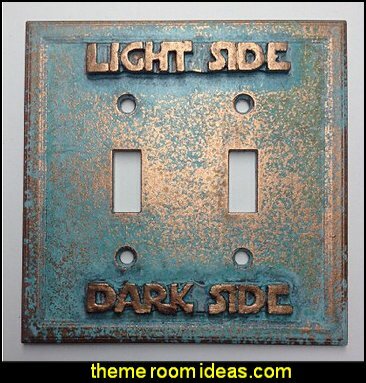 Create a colorful, shimmering space theme bedroom for your science-minded little guy or gal in minutes. 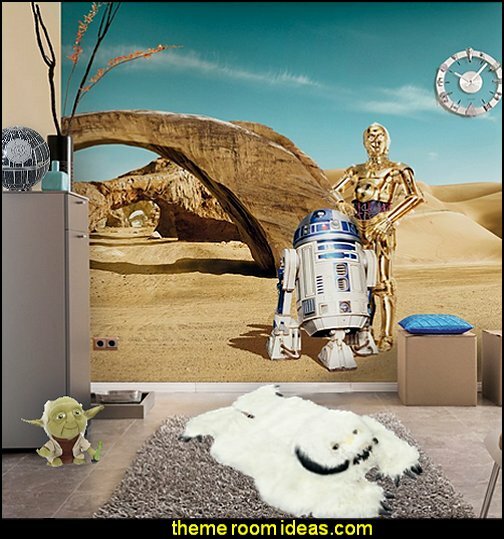 The Space Wall Stickers are truly in a class of their own. 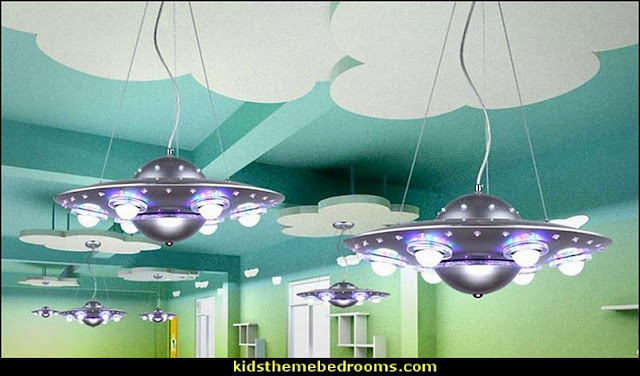 Though flat to the touch, they look as if they sparkle and have texture. 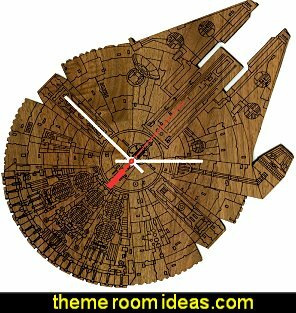 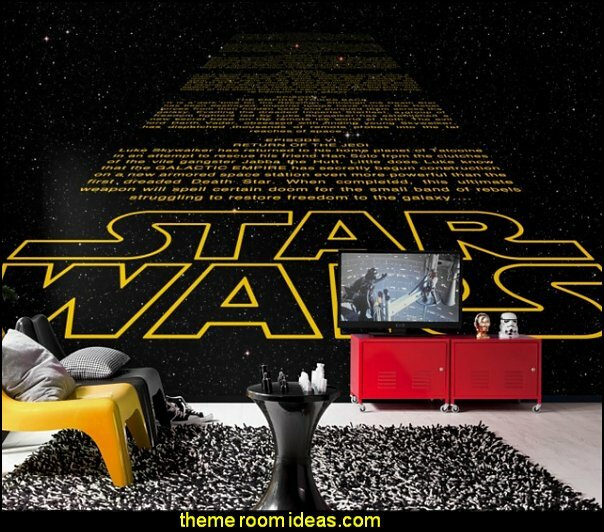 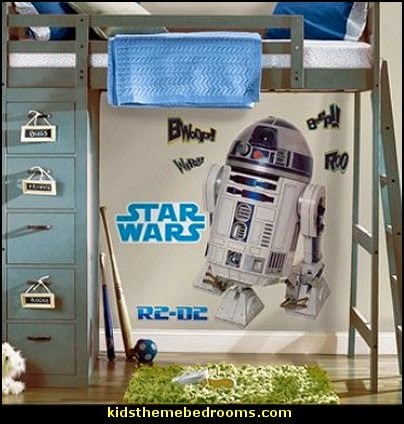 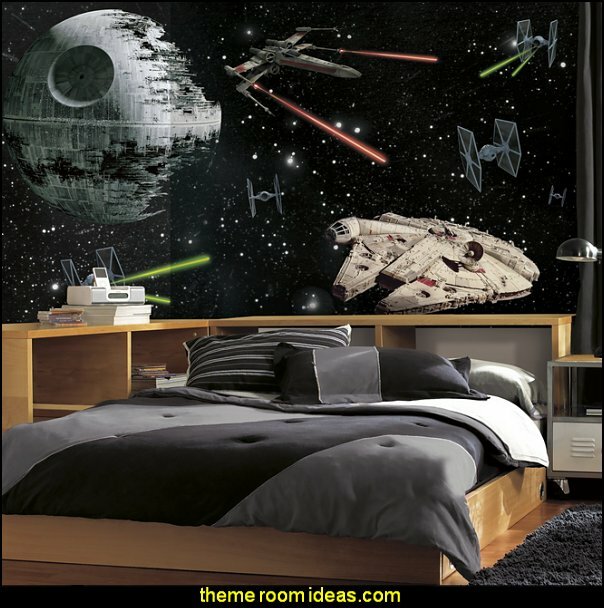 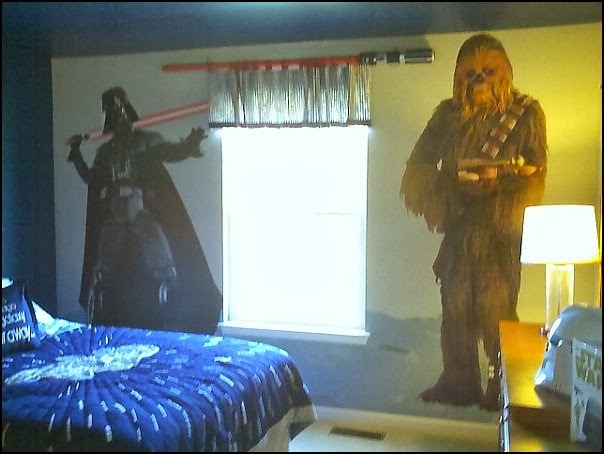 Just peel and stick and you'll have an instant kid's space wall mural any child would love. 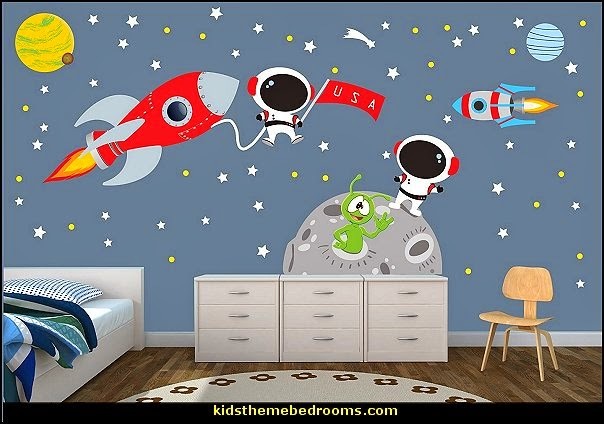 In this fantastic space theme sticker kit you'll receive 71 fabric wall stickers including: 5 large planet wall stickers (planet S, planet R, planet E, planet C, planet X and Earth), alliance short range exploration ship wall sticker, plaxen flying saucer wall decal, giant red sun wall sticker, rouge robot wall decal, alliance astronaut wall sticker, znar alien wall sticker, alliance rover wall decal, alliance satellite wall sticker, alliance space station wall sticker, znar ship wall sticker, comet wall sticker, 5 spiraling galaxy wall stickers and 50 twinkling star wall decals. 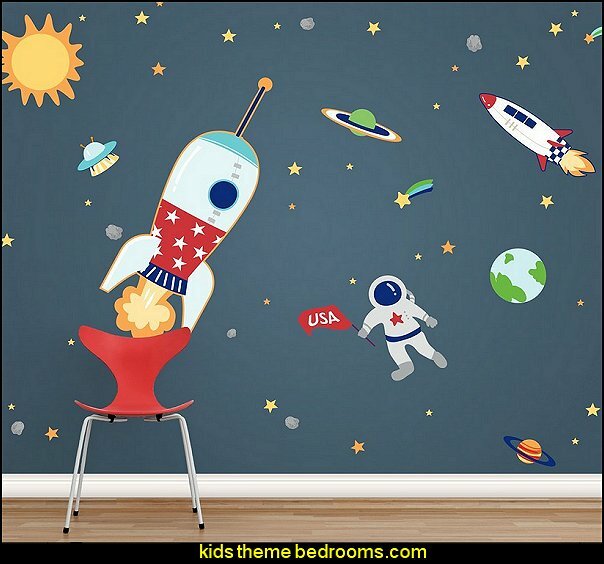 This imaginative children's space wall mural is ideal for playrooms, day cares, classrooms, boys rooms, girls rooms, baby room, pediatric offices and more. 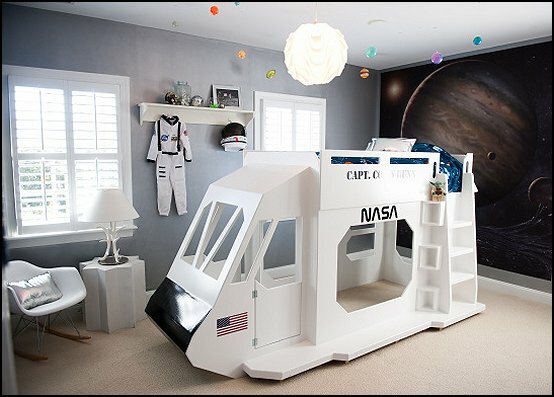 Your little boy's adventurous mind and real imagination might actually take him up into outer space as he sleeps on this extraordinary Space Shuttle Bunk Bed. 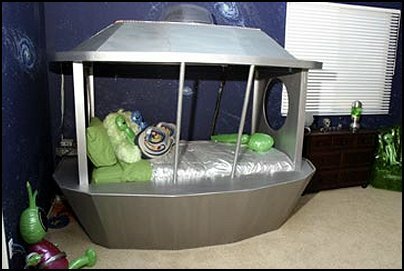 This unique bed is a sturdy and spectacular space saving solution for your children who love adventure. 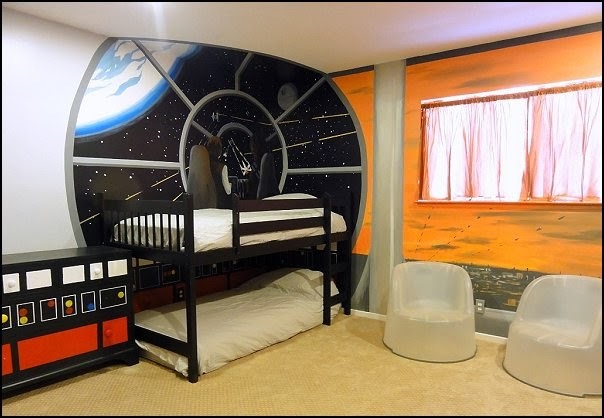 Just try and consider your child's delight as he enters the cockpit through the side door or climbs up to the cargo bay with the attached ladder. 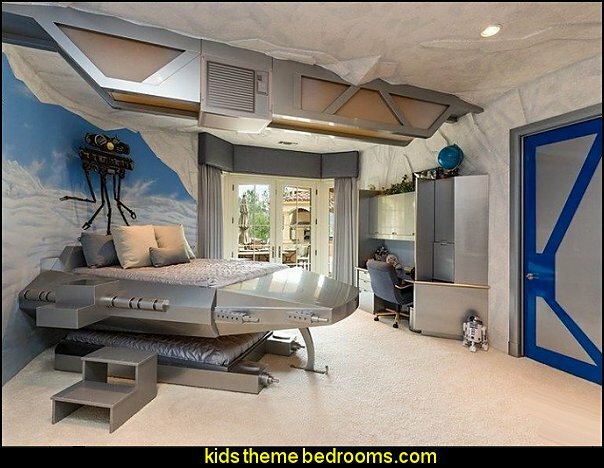 Included in this custom crafted bed is an attached ladder, a bench seat for two in the shuttle's cockpit, and an optional accessory bookcase. 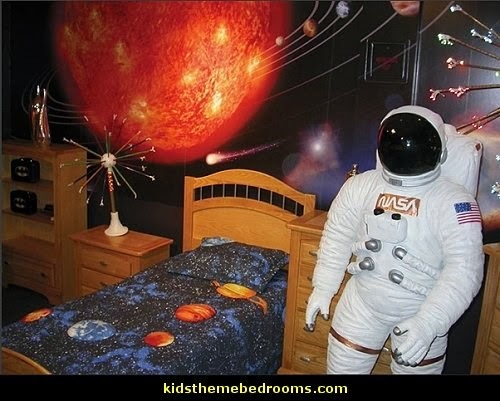 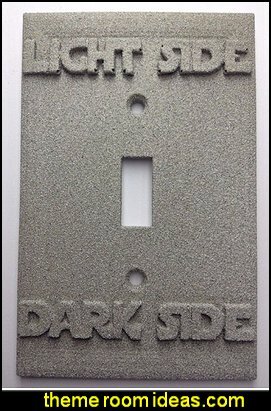 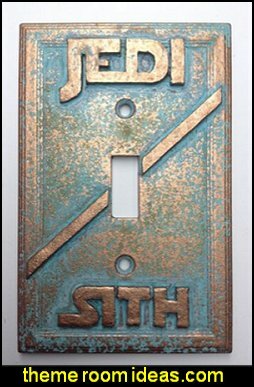 Just right for your astronaut to be!! 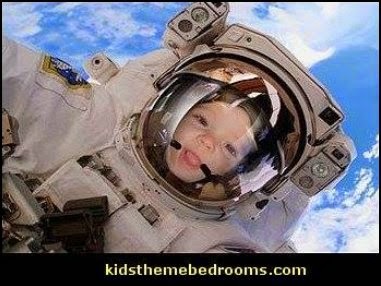 Kids climb aboard our Space Shuttle Cockpit Play Center and blast-off to imaginary worlds of adventure! 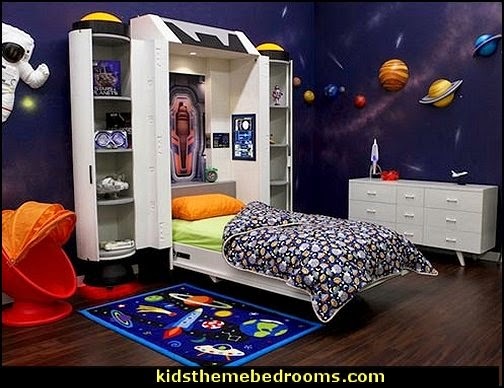 Offered separately from its matching bunk beds "payload bay", Space Shuttle Dresser is as functional as it is impressive! 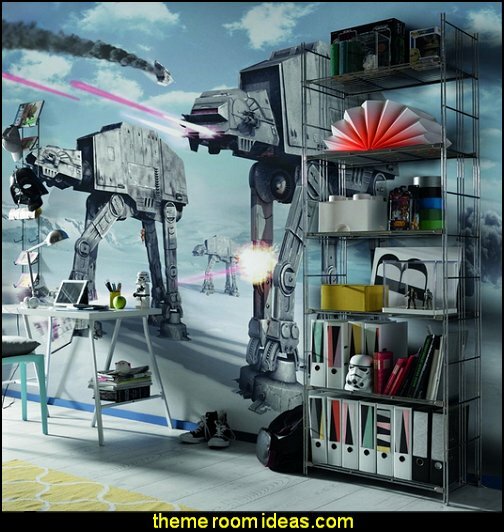 Dimensions: 84" tall by 59" wide by 18" deep Includes 5 drawers, open storage area above drawers and nose cone storage.